hat I will not be going bacm to fix. Really like this... wish I could think of a reason to keep it. Don't love it so its hard to finish. 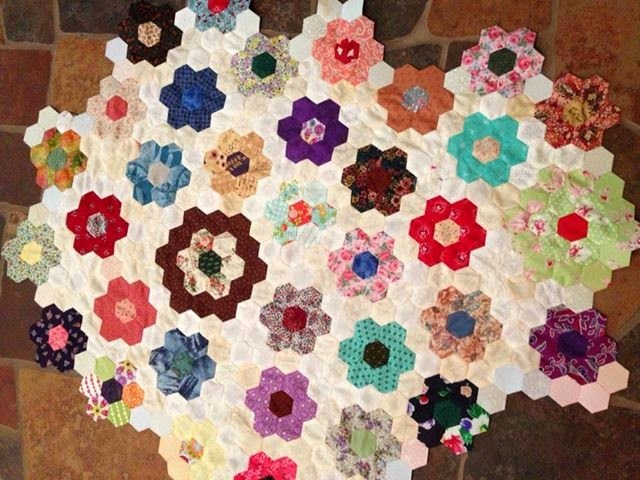 The hexie is about 1/2 the way to being a twin quilt. and put it back together as shown here. I like it better, but just barely. 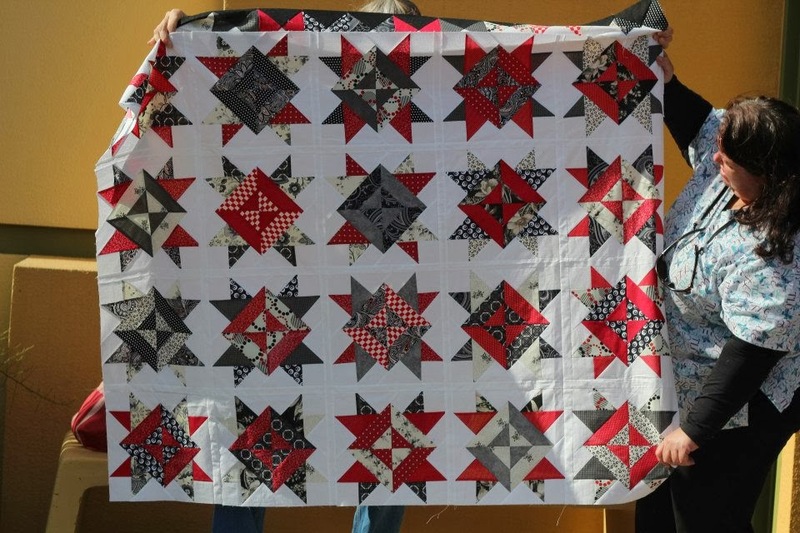 This quilt has to hold the record for most piecing WITHIN piecing. but was NOT happy with the center. and that so I had no plan when it started. top is sewn, borders are sewn... just need to attach borders and quilt!!! I received a charm pack and a template for this pattern for my birthday. I have cut everything out and am using it as a leader/ender project. This one will be a lap quilt size when finished. I am working on this one during lulls. I have enough done to start considering layouts.